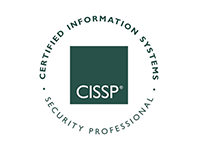 Data security is business critical. Your business network is the central nervous system of your operations, providing access to critical applications and storing sensitive company and customer data. Unfortunately, it’s also your biggest point of vulnerability. A breach can devastate your business by disrupting revenues, sidetracking internal resources, and damaging your reputation. 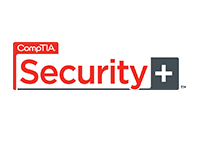 ControlScan Managed Security Services protect small and medium-sized businesses and organizations from internal and external attacks by hackers intent on accessing some of your most valuable assets like customer data, payment data, and health care information. At the same time, ControlScan’s approach to Unified Security + Compliance ensures that your investment in security will also maximize your compliance with relevant standards like PCI and HIPAA. 96% of surveyed IT organizations rated ControlScan’s unified security + compliance expertise as better when compared to other Managed Security Service Providers. Who's watching your network? 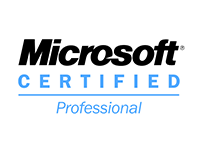 ControlScan performs 24/7 Managed Detection and Response (MDR) specifically for organizations that don’t have the internal expertise and/or bandwidth to keep a vigilant watch over the security of their IT environment. 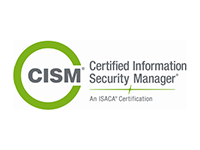 We employ the right people and the right processes to efficiently supplement your organization’s security threat management efforts. Our team identifies intrusions as they are happening, so you can extract them from your environment before any damage is done. A network firewall continues to be as important as a locking front door at all of your locations where you’ve installed network infrastructure. You can’t rest easy once it’s installed, though. The increasing sophistication of attackers and their tools means that firewalls have to be continuously monitored and managed. Our PaySafe Unified Threat Management (UTM) Firewall Service delivers the latest in firewall technology, supported by a team of experts that keeps it current with your business and the threats that endanger it—all while maintaining compliance with standards like PCI. How do you efficiently check your business network for any of the thousands of different security risks that can offer hackers an open door into your business? Our Vulnerability Management Service provides automated scanning of all your network assets, taking both the external perspective of an outside attacker as well as an internal, “inside the network” approach. Vulnerabilities are prioritized and reported, and a team of security experts stands ready with guidance on how to approach remediating them. 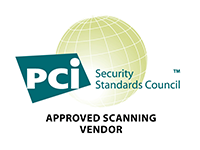 As a PCI-qualified Approved Scanning Vendor, ControlScan also delivers the ASV scan you need to prove your compliance. The easiest way for an attacker to gain access to your business network is through the weakest link—your employees. Social engineering exploits mistakes, missteps and the general lack of awareness of your organization when it comes to protecting critical assets like customer data. ControlScan Security Awareness Training service provides an ongoing program of web-based instruction across the topics that are relevant to your operations. In addition, you’ll have the visibility and control you need to ensure that the program is being followed by all your employees on an ongoing basis.